The classic pullup display unit, designed for use at tradeshows, receptions etc. Indoor use only. 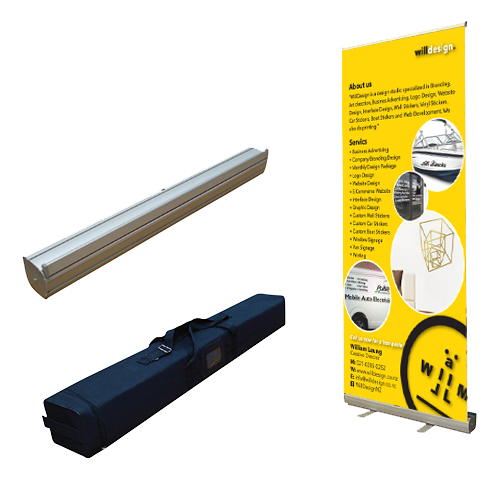 Single sided rollup up banner stand, 850mm wide x 2000mm high.